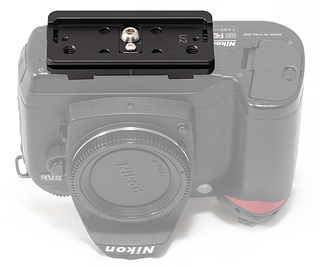 Arca Swiss mount style Camera Plates for a wide range of camera models. such as those on the Ultimate M1-S, Ultimate M1-L etc. CP-U2G Cameras with vertical grip which has a flat surface. CP-U4 Universal plate for cameras with large flat roughened base that provides good friction. e.g. Nikon cameras. Not recommended for Olympus cameras and battery grips with small protruded area. They need plate with anti-twisting flange. 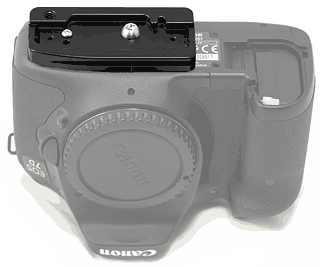 Example above shows plate CP-C1 mounted to Canon 7D.